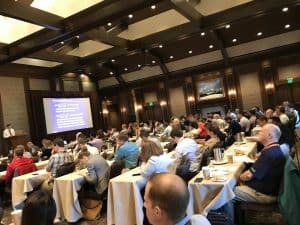 Oceanit is attending the 49th annual Pipeline Simulation Interest Group (PSIG) 2018 Conference in Deer Valley, UT. Oceanit Director of Strategic Initiatives, Dr. Vinod Veedu is in attendance to discuss all subjects related to fluid pipeline systems with the world’s leading experts. The Conference is held May 16-18 and highlights the latest in pipeline simulation technology. PSIG was formed in 1969 with a mission to facilitate the exchange of information and advance the state of the art in pipeline modeling, simulation, and optimization. 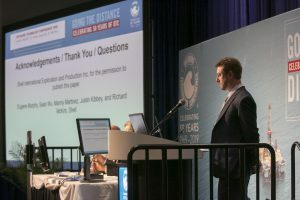 The three-day conference is attended by over 170 professionals representing major gas companies, oil companies, specialized consultants, and universities in the United States, Canada, Europe, Australia, and Asia. At the 2018 conference, presentations will be held on topics such as, ‘A Comprehensive Model for Predicting Efficiency of Drag-Reducing-Agents (DRA) in Liquid Pipelines’ and ‘Real-Time Sand Deposition Prediction in Multiphase Flow,’ two issues that DragX can directly address. ‘A Comprehensive Model for Predicting Efficiency of DRA in Liquid Pipelines’ was presented by Wei Zeng and introduced a mathematical model for predicting the efficiency of DRAs. His model correlates drag reduction as a function of pipe diameter, fluid viscosity, DRA type & concentration, and Reynolds number. The presentation showed approaches for processing field test data and developing a comprehensive model. Results of the model predictions vs. the actual data was also provided. You can visit the PSIG Conference blog to read more about the daily presentations. Oceanit attended the 50th annual Offshore Technology Conference (OTC) in Houston, TX. 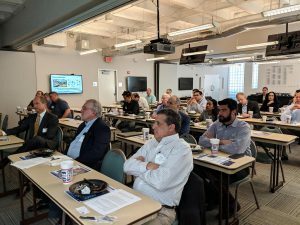 The conference, which ran from April 30-May 3, was held at the NRG Park in Houston and was attended by Oceanit’s CEO & Founder Dr. Patrick Sullivan along with Dr. Vinod Veedu and Dr. Jacob Pollock who presented on several Oceanit technologies. 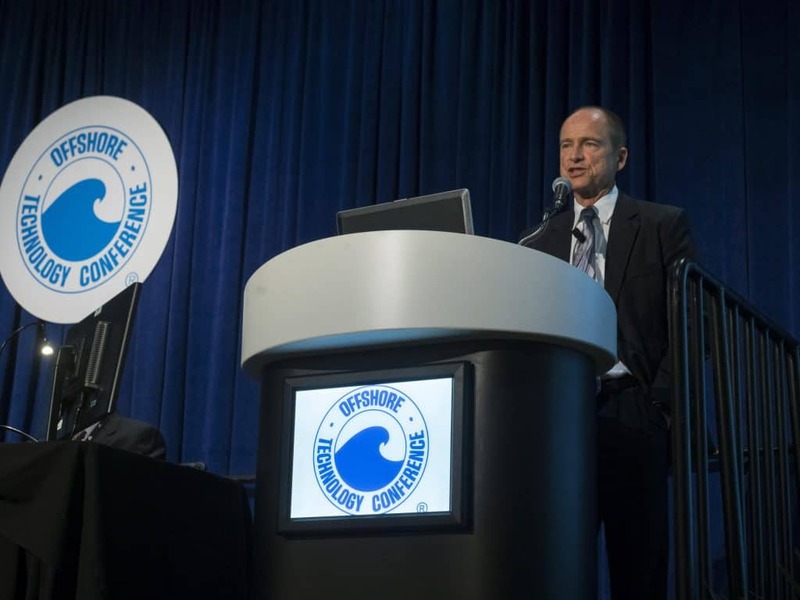 Energy professionals meet at the OTC event each year to exchange ideas and knowledge on the scientific advancements and technical breakthroughs in offshore resources and environmental matters. Over 60,000 professionals from the energy and technology sectors attended the 2018 OTC. In recent years, Oceanit has developed applications for our breakthrough technologies in artificial intelligence, smart materials, and nanotechnology coatings within the energy sector – technologies that can make current resource recovery and energy production safer, cleaner, smarter, and far more efficient. Oceanit’s ‘acoustically-responsive smart well cement’ was created to make offshore oil recovery safer than it has been in the past while reducing the risk of leaks. The bond between pipe and cement is crucial to the safety of offshore recovery, but often the acoustic tools used to measure uniformity of the cement filler cannot always provide a complete picture because of cement composition. Oceanit engineered a particulate filler that acts as an ‘acoustic band gap filter and contrast agent’ at specific frequencies, which makes acoustic logging far more accurate. This, in turn, ensures pipe safety can be measured and informs repair action or eliminates unnecessary action. Shell presented alongside Oceanit to demonstrate how this solution is being utilized in-field. Corrosion and biofouling control is an important consideration for offshore resource structures. Corrosion rates for steel can easily exceed 10 mils per year when exposed to seawater and brine air if left unprotected. Meanwhile, barnacles and other bio-growth which attach in tidal zones can similarly induce heavy, accelerated microbiological pitting corrosion. These factors lead to constant maintenance of critical assets and often proves a logistical nightmare with the limited accessibility, remote locations, and the huge expense of any service interruptions. 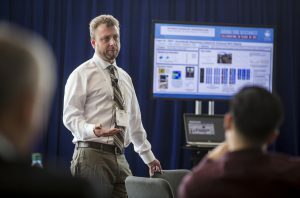 At the OTC, Oceanit demonstrated how our nanocomposite surface treatments can provide corrosion prevention and fouling-repelling properties to metal infrastructure while also being hydro- and oleophobic. Dr. Pollock held a keynote presentation on ‘Machine Learning for Improved Directional Drilling,’ in which he described Oceanit’s development of an artificial intelligence system which ingests historical and simulation data to make slide drilling more efficient. The neural network that Oceanit has developed could replicate the decisions of expert directional drillers. Reinforcement learning was successfully used to improve the AI’s performance, particularly for conditions not previously considered. Since Oceanit’s AI algorithm has demonstrated competence in historical and simulated scenarios, it will be further tested as a real-time advisory system for control of directional drilling operations, making them safer and more efficient. Oceanit was happy to share our ‘Mind to Market’ approach to disruptive innovation with the attendees of OTC 2018. We are excited to continue working to evolve our technologies with the energy sector to improve how we produce energy for the planet. 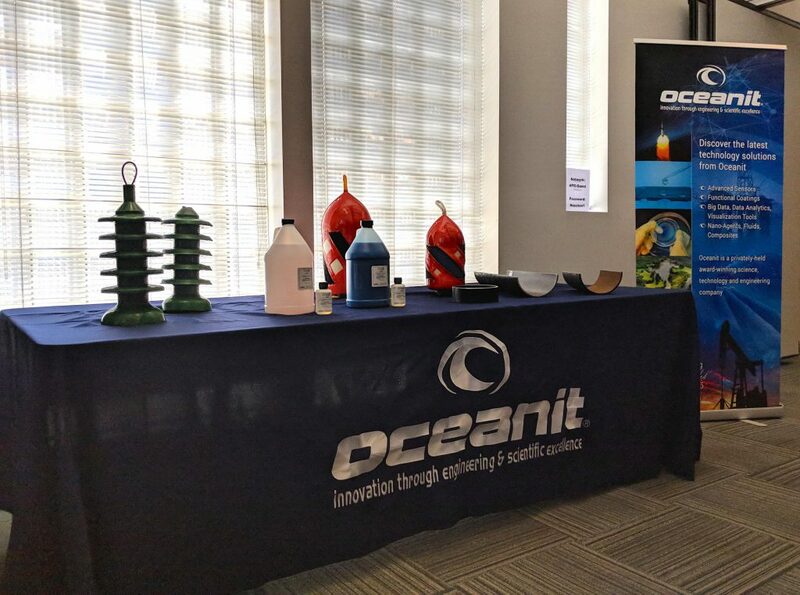 March 1st | Houston, TX – Oceanit hosted more than 60 experts from the pipeline industry for the launch of DragX, our novel nanocomposite pipeline surface treatment technology. More than 60 subject matter experts from the energy industry, the Environmental Protection Agency (EPA), U.S. Department of Defense, U.S. Department of Energy, and National Energy Technology Laboratory (NETL), joined Oceanit in Houston or via webcast to learn more about this breakthrough technology. DragX is one of a number of advanced nanocomposite surface treatments that have been recently developed at Oceanit. When applied, DragX creates a water- & oil-repellant, low-friction surface; even on corroded and de-rated pipes. Oceanit Director of Strategic Initiatives, Dr. Vinod Veedu, along with CEO Dr. Patrick K. Sullivan, led the DragX showcase event. Partnered with industry veterans, Robert H. Winters and Andy Santalucia, Oceanit presented DragX’s numerous benefits and case studies to the event attendees. DragX enables increased pipeline efficiency & throughput, reduced pressure drop, reduction of pumping energy used, prevention of corrosion, prevention of debris deposition (such as paraffin or black powder buildup) and reduced costs of inspection, cleaning, and maintenance. 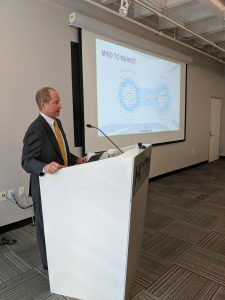 During the event, Oceanit presented the findings from a pipeline demonstrationg which included fabrication, application, and monitoring conducted in 2017. The results show that DragX is easily applied using traditional pigging techniques on pipes of all diameters, and that the coating can be evaluated using Oceanit’s novel digital video-pig that provides data on surface coverage, adherence, thickness, and uniformity – all of which is processed in real-time. Oceanit’s solution overcomes the many shortcomings of previous epoxy flow-coating and in-situ rehabilitation solutions. DragX overcomes these hurdles by requiring minimal surface preparation before application, being effective at a fraction of the thickness of past coatings (only 2mil), and combining a 72-hour pot life with a cure-time of less than two hours. Though in-situ pipeline coatings have been around for decades, these characteristics make DragX a breakthrough in both benefits and reduction of service disruption which has inhibited wide adoption of past in-situ coatings. DragX is shown to be easy to apply, improves the economics, and boosts performance of pipelines. The Oceanit team and our partners would like to thank all of those who joined the showcase event, whether in-person or via our webcast.